Turn photos of your pet into beautiful works of art! 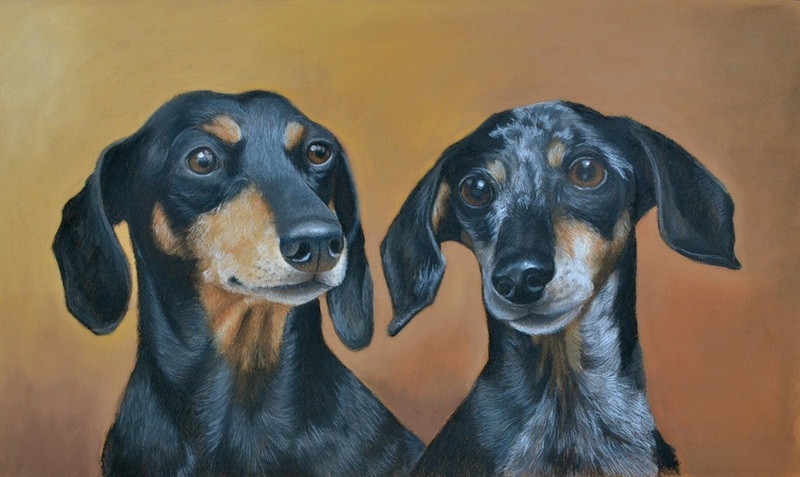 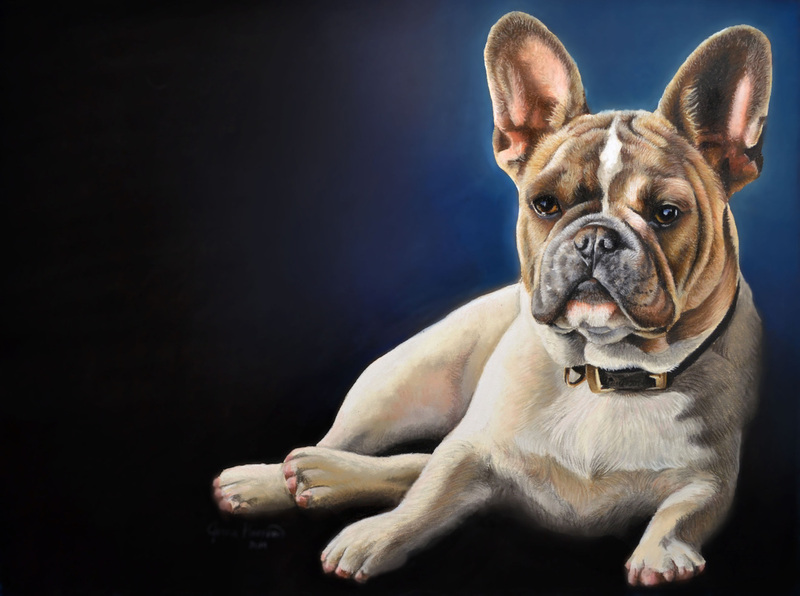 All pet portraits are hand drawn and painted by Jenna Harrison. Her experience in capturing the spirit of animals is displayed in every portrait. 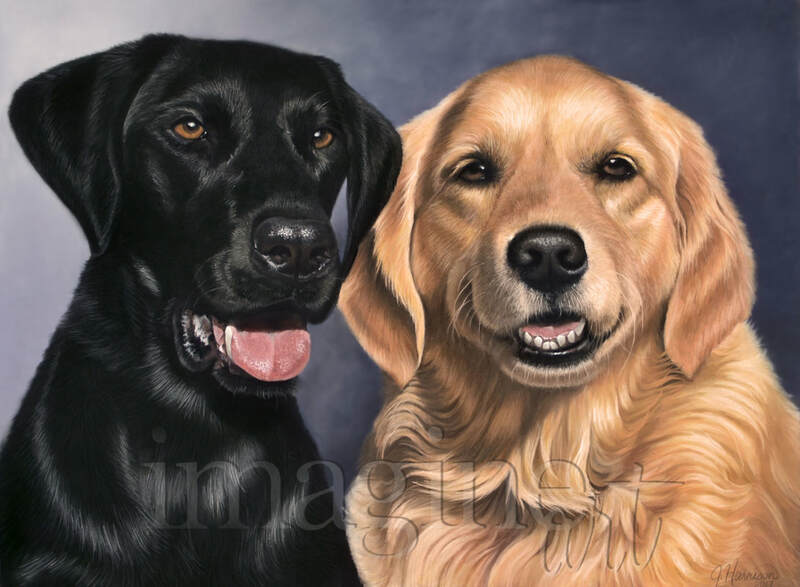 Her passion is creating beautiful works of art that bring your any image of your pet to life. Capture your pet's personality with a custom portrait! 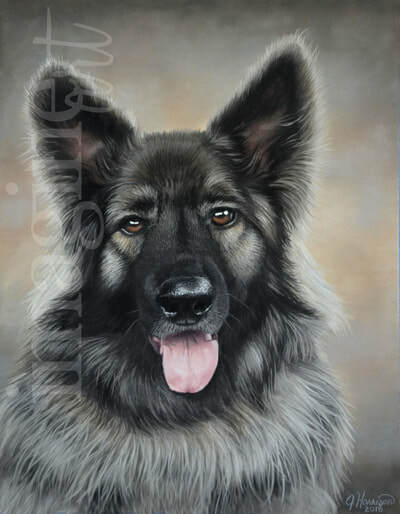 Looking for a portrait of your horse? 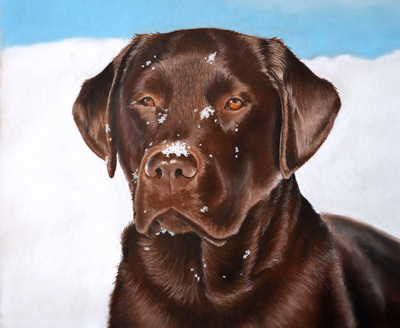 Jenna specializes in custom horse portraiture and equine art! Check out her portfolio! "The attention to detail was extraodinary and incredibly beautiful. 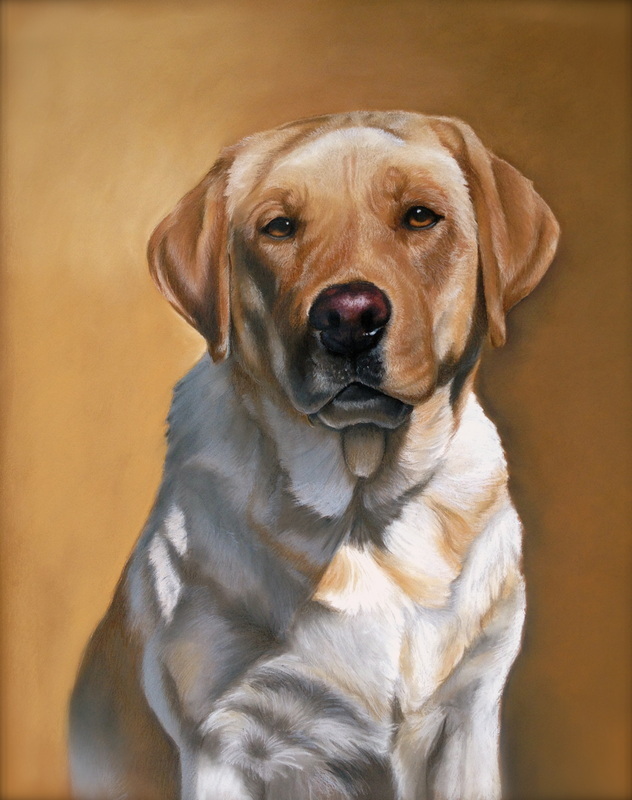 It is a work of art to be treasured for years to come. 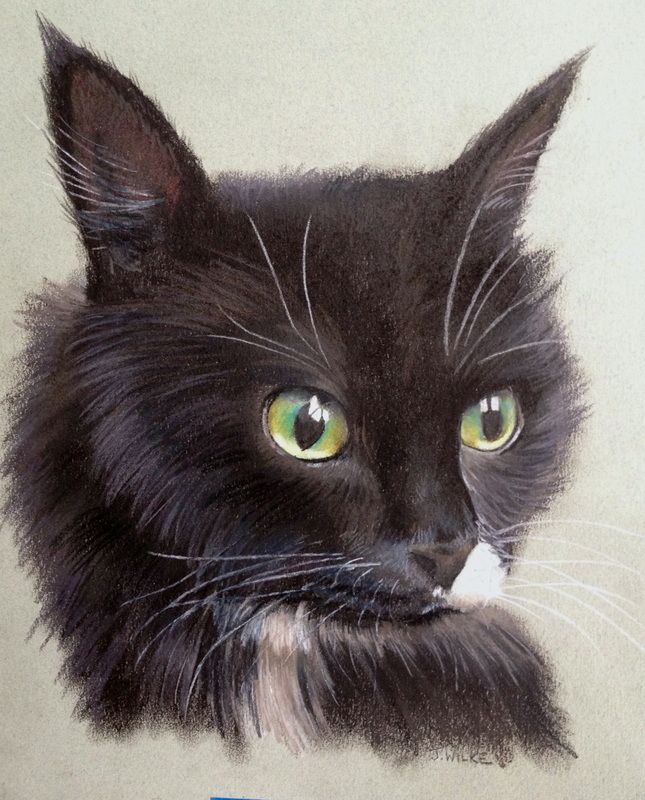 The eyes alone appeared to come alive in a way we never anticipated. " 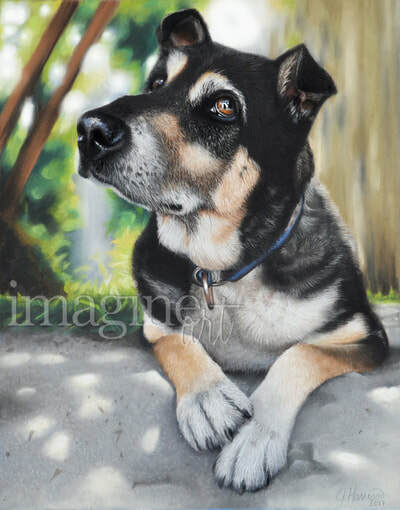 "Lola" 12 x 16" commissioned pet portrait in pastel by Jenna Harrison of Imagine Art. 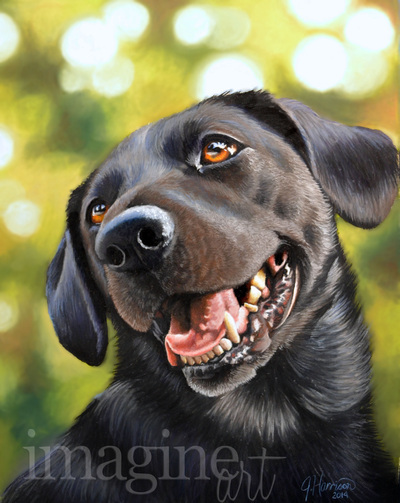 "Stewart" custom black labrador dog portrait by Pet Portrait artist Jenna Harrison of Imagine Art. 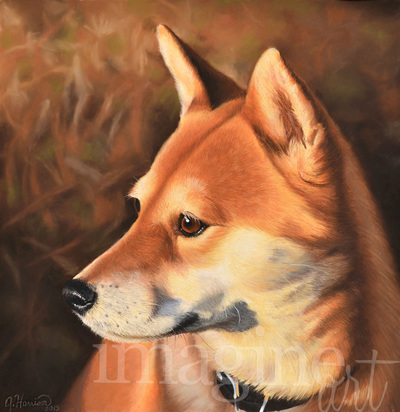 "Akiko" 18 x 18" custom Akita dog portrait in pastel. Original pet portrait painting by Jenna Harrison of Imagine Art. 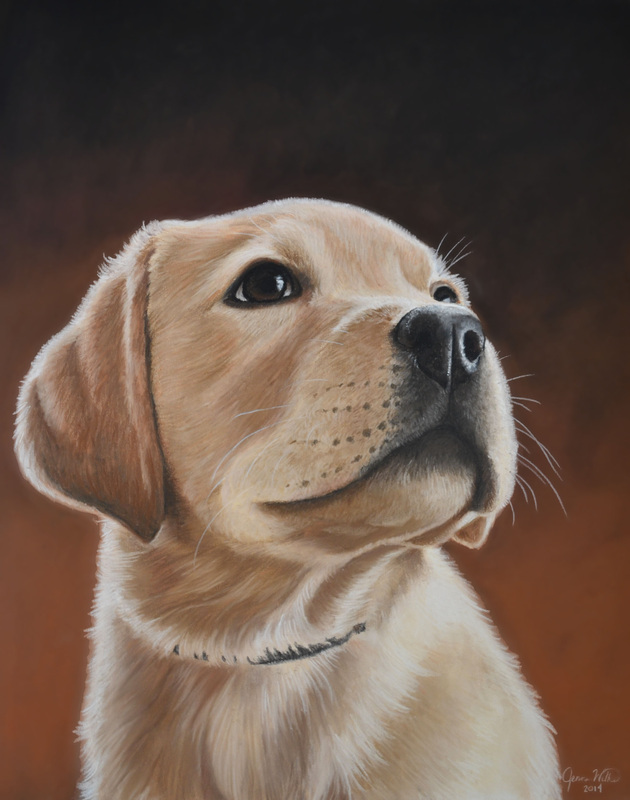 "Dublin" 9 x 12" custom pastel pet dog portrait. 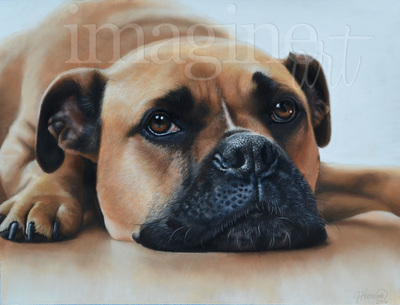 Original artwork by Jenna Harrison of Imagine Art. 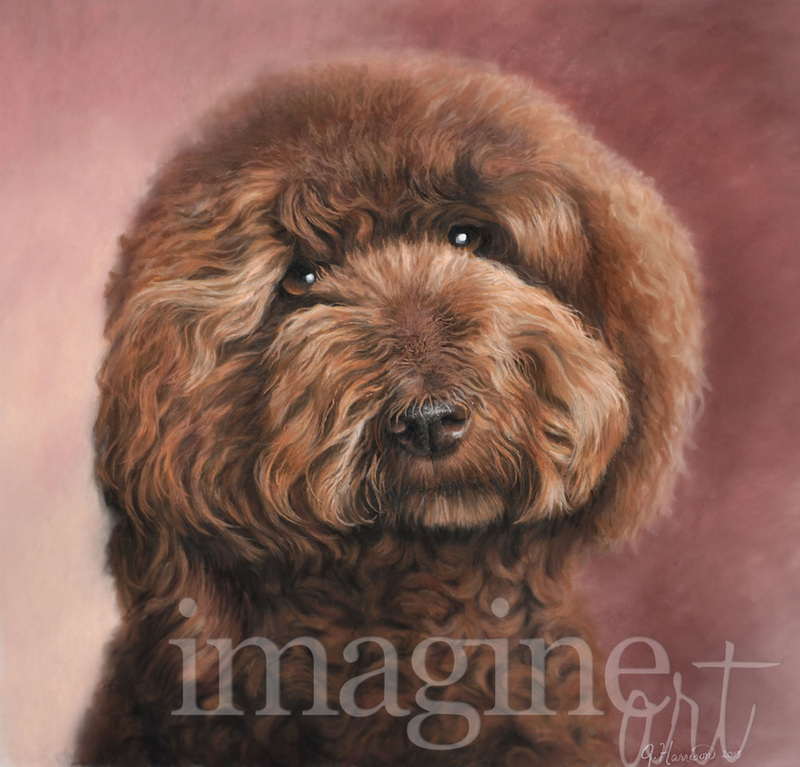 "Stella the Therapy Dog" 16 x 20 custom chocolate poodle portrait by Jenna Harrison of Imagine Art. 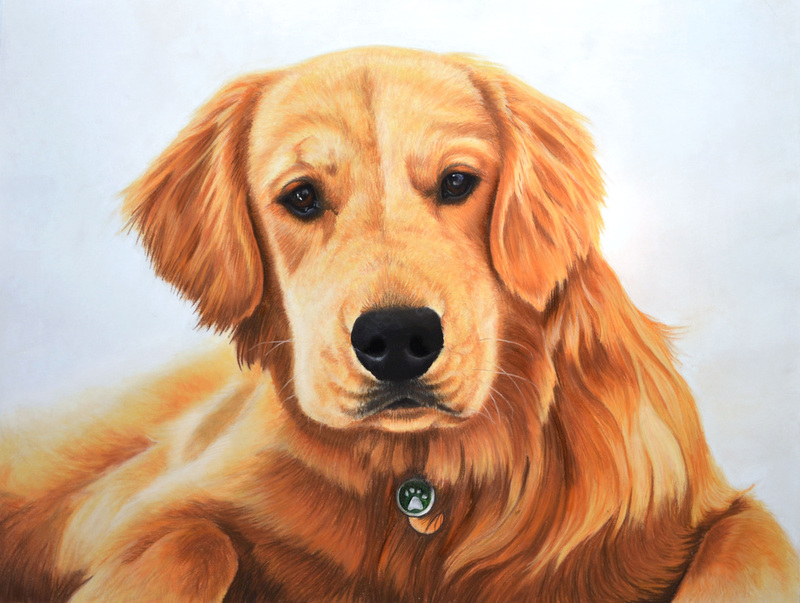 "Harry" 16 x 20" Golden Retriever dog portrait. 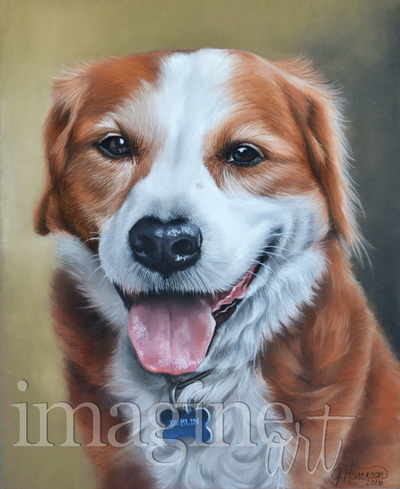 Original Pet Portrait by Jenna Harrison of Imagine Art. 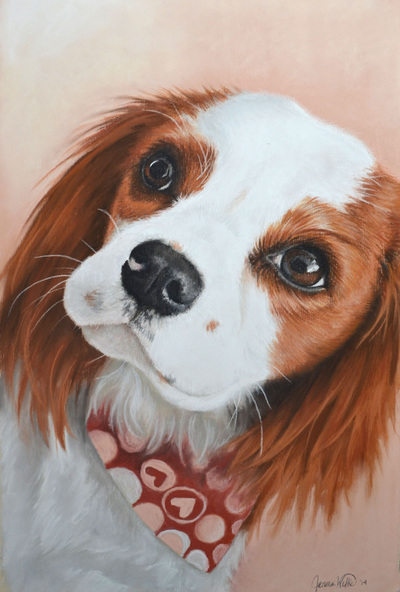 King Charles Cavalier dog portrait - Pet Portrait. 12 x 16" pastel on sanded paper. Original pet portrait by Jenna Harrison. 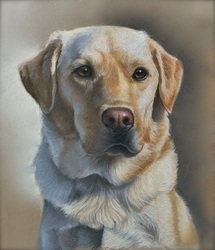 "Mojo" 16 x 20 pastel Labrador portrait. 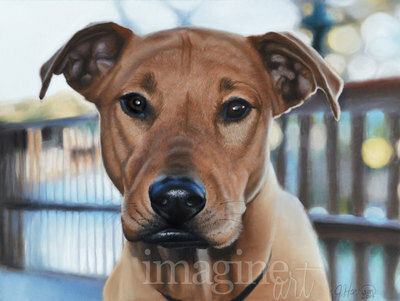 Original custom dog portrait by Jenna Harrison. 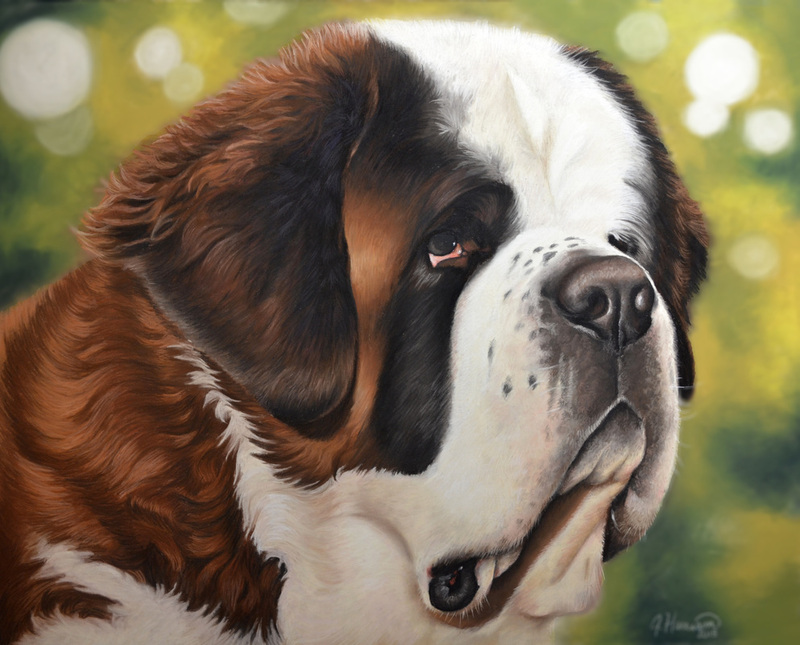 "Dudley" 16 x 20" custom Saint Bernard dog pet portrait by Jenna Harrison of Imagine Art. "Annie" yellow labrador puppy portrait. 11 x 14" pastel pet portrait by Jenna Wilke. 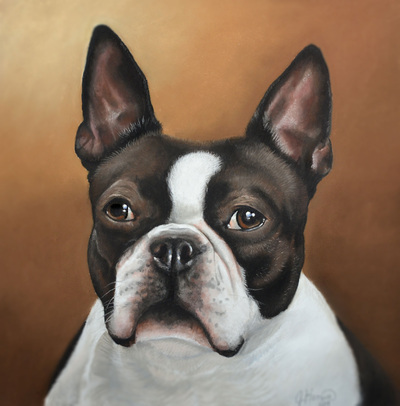 "Bailey Ann Benson" 12 x 12" custom Boston terrier dog pet portrait. Original pet portrait by Jenna Harrison of Imagine Art. 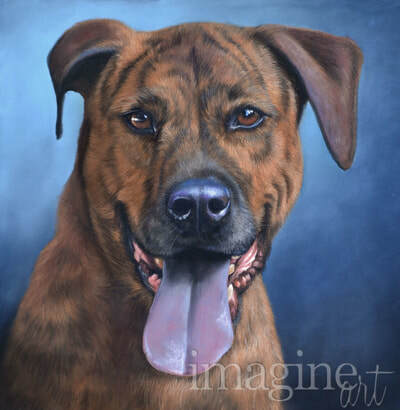 "Bentley" 12 x 12" pastel. 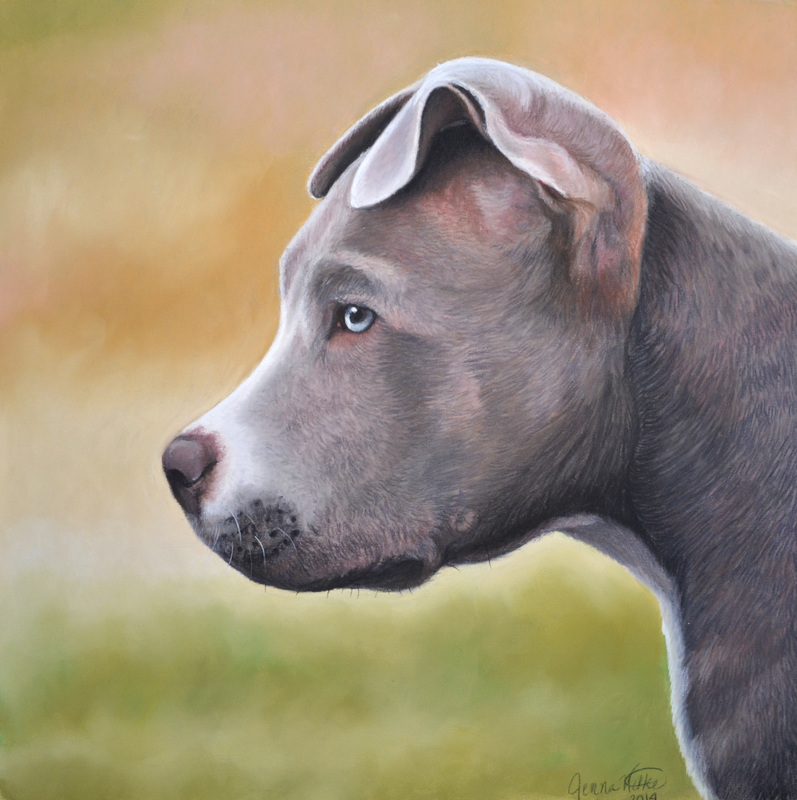 Custom pitbull dog portrait. Original artwork by pet portrait artist Jenna Harrison. 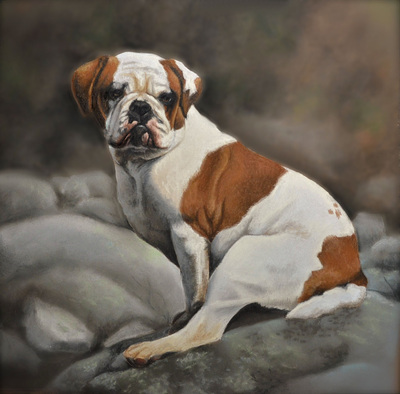 "Stella" Bulldog Portrait. 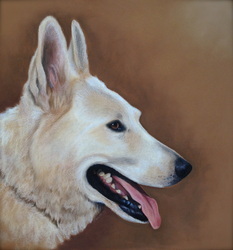 12 x 12" pastel pet portrait.